As a nonprofit in tech education, our mission is to enable as many people as possible to acquire state-of-the-art tech skills to solve today’s problems in a digital and entrepreneurial way. In order to live up to that, we aim at providing the participants of our Digital Shaper Program with the most effective way to build domain knowledge in the tech sphere for free — independent of the prior knowledge or professional background. Now, we want to share how our project-based learning concept actually works in detail, on which three pillars it is based and why we think our work has high relevance in today’s world. 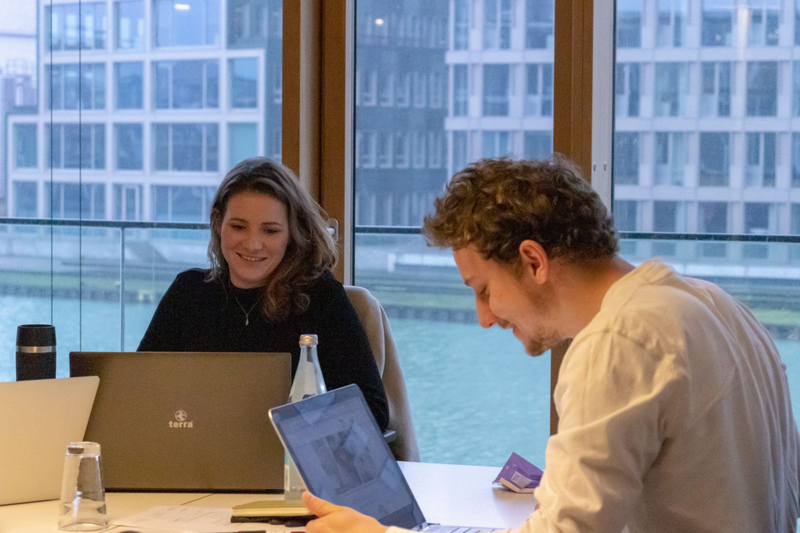 A short recap: After TechLabs was founded at the beginning of 2018 in Münster, we have already helped 135 participants to attain coding skills in the learning tracks Web Development, Data Science and Artificial Intelligence (AI). Over the course of two semesters, we were able to refine and validate our program based on our participant’s feedback and continue to do so. Our Management Team has grown to the size of 30+ people. 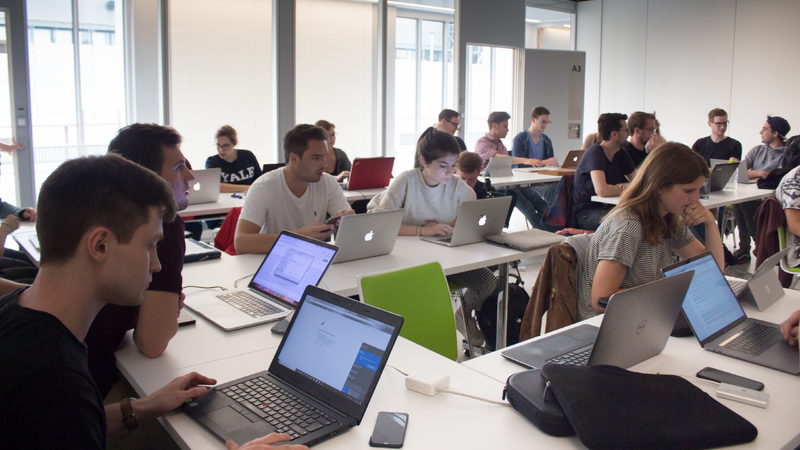 We now have opened another TechLabs branch in Barcelona, where the first 50+ participants started their learning journey just recently. For the end of 2019, we aim for 5+ branches all over Europe. Currently, we talk with possible co-founders in three further cities. In case you missed it, feel free to read our recap for 2018 and outlook for 2019. Organizations of various kinds struggle to find tech talents. The capabilities of technologies need to be leveraged for socially beneficial purposes. Online learning does not unfold its full potential in isolation. People at the beginning of their tech learning journey need orientation which is the most effective learning path. If you are further interested in what exactly is behind those reasons, read this article. Our program is based on the following three main components: Online Learning, Project Work and Community & Events. 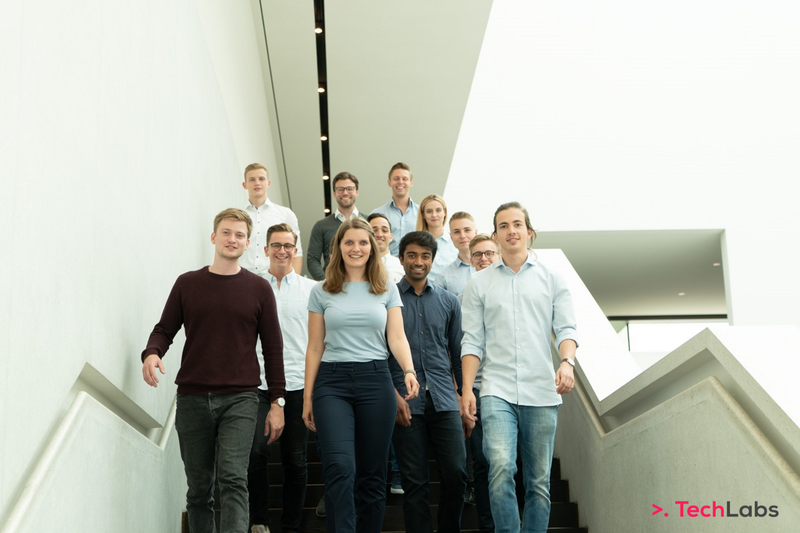 The TechLabs Digital Shaper program takes place parallel to a regular university semester (in Germany, for example, from October until March or April until September). Anyone can apply to be part of the program at the beginning of a semester through our website. We select our participants not on the basis of their CV’s but rather on their motivation. Our participants learn tech skills in one of our three learning tracks Artificial Intelligence, Data Science and Web Development. For Data Science there is a special case: our participants can choose to learn the track contents either with the programming language R or Python. Artificial Intelligence: learn about the possibilities of current AI techniques, attain Python skills, and build your first image recognition application. Data Science: learn basic coding skills in Python or R and then apply them directly to Data Science tasks — from data import to data preparation and visualization to building advanced machine learning models for classification and regression. For each of the three tracks, our curriculum experts carefully compiled the best online learning resources available in various formats (online courses from platforms like Coursera, DataCamp, edX or Udemy as well as blog articles and practice material). These resources are integrated into a sequentially ordered learning path. Our curriculum team makes sure that our tracks are updated and revised continuously so that we always have the highest quality learning material available. Some online courses in our learning paths are chargeable. However, thanks to the support of our sponsors and company partners, we are able to fully refund the course fees for all of our participants during the semester — without conditions. We individualize the learning paths of our participants based on their prior coding knowledge and learning goal. Because we want to make sure that both a coding beginner or already experienced techie can learn something new in our program, we individualize our participant’s learning paths based on prior knowledge (knowledge of a programming language and fundamental coding concepts) and learning goals (e.g. theory or hands-on focus, frontend or backend). Consequently, based on these dimensions, we in- or exclude learning resources in the personalized track of each participant. The length of the learning paths can vary between 35–70 hours. Also, we integrate TechLabs exclusive content into our learning tracks. For instance, we created Track Guides for each of our learning tracks. On 10 pages, these guides contain a compilation of various resources that are useful in the learning journey (e.g. cheat sheets, freely accessible e-books, sample code). Also, we produce our own videos currently that will be integrated into the learning tracks soon. Just recently, we announced the TechLabs Open Curriculum for our tracks Artificial Intelligence, Data Science with Python and Web Development to give as many people as possible orientation what a great learning path to acquire tech skills looks like. All the learning materials that were integrated into the Open Curriculum are completely free. The learning paths for the three tracks are accessible on the Open Learning Platform edyoucated. Get access to the Open Curriculum: https://tech-labs.de/edyoucated. The overarching goal of the online learning component of our program is that the learning resources of our tracks should enable our participants to take part in their own tech project in which they solve an open problem. The project work and online learning take place in parallel during the semester. Our participants can come up with their own project idea and then work on it in interdisciplinary groups of three to five until the end of the semester vacations of the regular semester (e.g. given the German semester schedule, until the end of March or the end of September). Also, our company partners can hand in project ideas. Our participants can then work out the project in consultation with the responsible company. 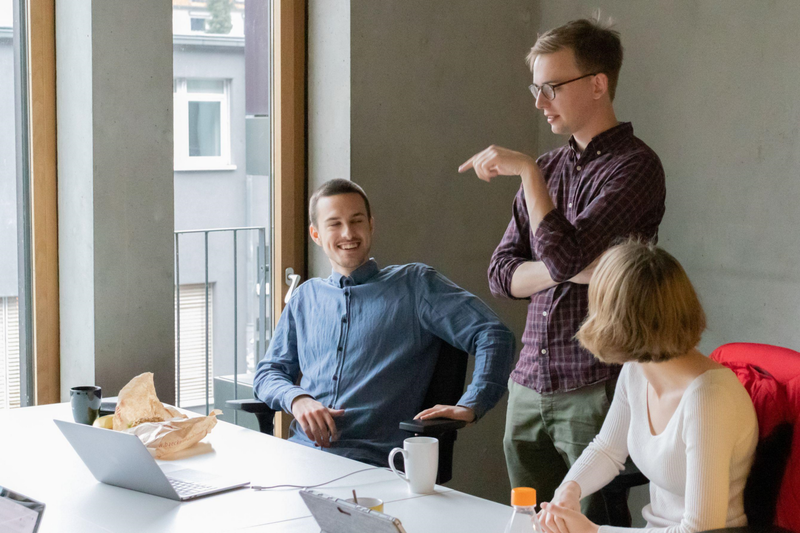 Various different project ideas are conceivable — from organ recognition on medical images to the analysis of customer churn behavior to a web app that scans receipts for financial planning. Follow our blog to stay up to date on the most recent project reports of our participants. New reports will be added soon: https://medium.com/techlabsms. Mentors support the project groups in case of technical issues and questions regarding the project scope or project management. Our mentors have relevant practical experience and are experts in the respective fields of the learnings tracks. Workshops: During the semester, we offer hands-on workshops. Either company partners or we ourselves give the workshops. In the past semester, for instance, we learned how to apply Web Scraping to systematically gather information displayed on websites. Also, our partner Accenture Interactive taught our participants how to apply design thinking in a hands-on workshop. Talks: We invite experts that talk about a topic in the field of their profession. 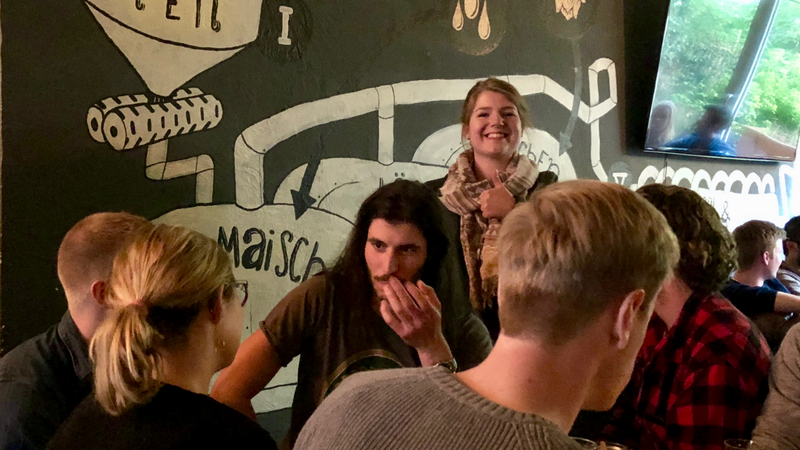 In Münster, for instance, a Blockchain and a Data Science expert gave us interesting insights the past semester. Hacking Days: We organize multiple hacking days during the semester. Here, the project groups can work on their projects together. Our mentors are present to support. Socials: What should certainly not be forgotten is that eating and drinking together has always helped to bring people closer together. Therefore, we organize different socials during the semester so the participants in the community really get to know each other. During the semester, we use Slack for communication so our participants can stay on track with the latest TechLabs announcements, interact with fellow learners, share interesting tech content and ask their mentors questions whenever they want. Join our open Slack channel today and introduce yourself! For our community, we aim for diverse backgrounds in terms of professions and fields of study, so we can come up with interesting and innovative project ideas. 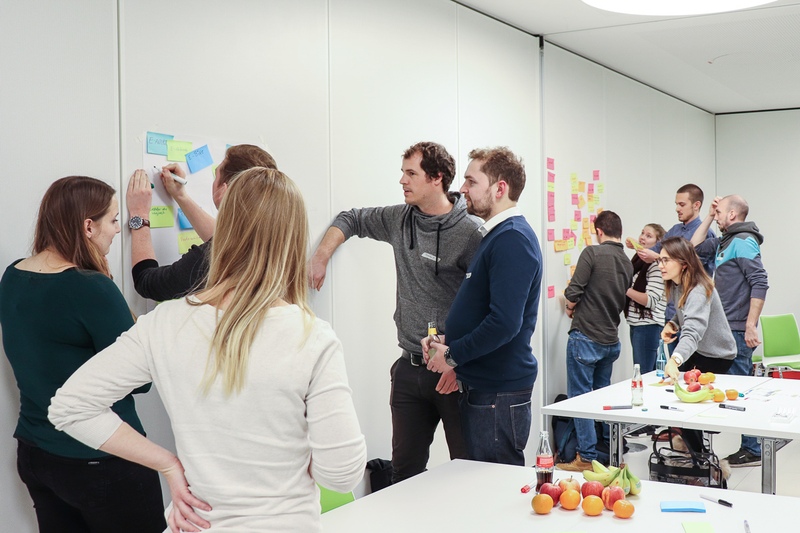 In Münster, we currently accept approximately 85 participants per semester. If our participants complete the project successfully, they get a couple of (long term) benefits. The Digital Shaper Certificate is one of them. Also, they get further access to the TechLabs job board, where our company partners post job offers. Once new learning tracks are available on the Open Learning Platform edyoucated (e.g. Digital Marketing, UX), our participants get access to them first. After the completion of the Digital Shaper program, you should be qualified for tech-related internships in the field of your learning track. Alternatively, you can start your own endeavor, potentially together with former TechLabs learners. If you want to take another learning track the next semester, you are invited to apply again. We hope that this article gave you a better impression of how the Digital Shaper Program actually works. You are more than welcome to apply to participate in the next semester in Münster or Barcelona. New branches will be announced soon. Stay up to date on Facebook so you do not miss out on important news. 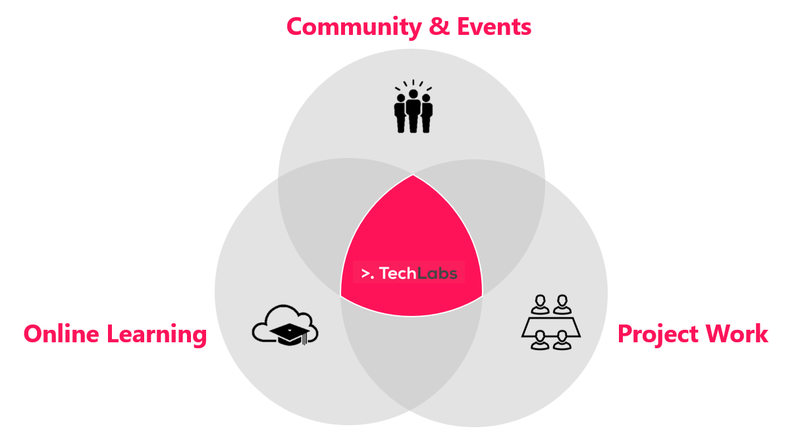 If TechLabs is not yet active in your own city, gather up with other tech enthusiast and set up a TechLabs branch by yourself after consultation with us! We are happy to help you in the process: info@tech-labs.de. Head of Product and Co-Chairman @ TechLabs e.V.